I want my SNMP Trap Receiver, Syslog Receiver or Event Log sensors to keep the error status, over more than one interval, even if the cause does not persist. How can I achieve this? Out of the box, PRTG will only change the sensor status for one single interval. If the next scan results in another status, the status will change accordingly. Enter the value 0,00000001 into the Upper Error Limit (#/min) field. This will ensure, that the status will immediately change as soon as an alarm occurs and the limit is exceeded. 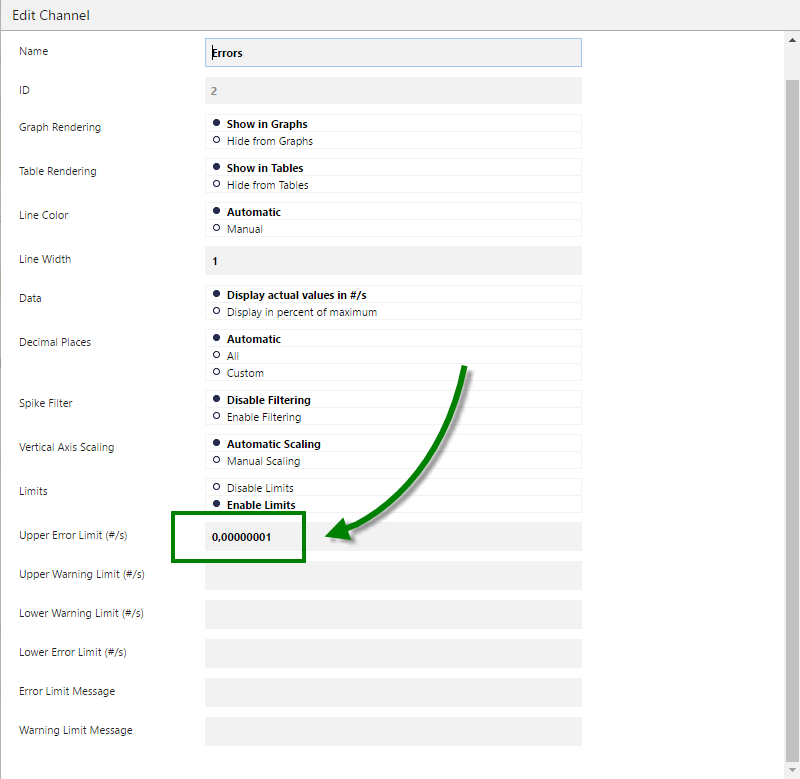 Note: This is the default setting for the Syslog and Trap Receiver sensors. This will set the sensor in down status as soon as a message that matches the sensor filter rules arrives. This will allow you to immediately trigger a notification. This will immediately trigger a message and inform you about the issue. Note: You will find your passhash on the Setup | System Administration | User Accounts page for the respective user. Now you will be able to assign the correct object ID of the newly created Green IT sensor to the notification. This is fairly straight forward, just replace the objectid by the ID value shown on the Overview tab of your Green IT sensor. 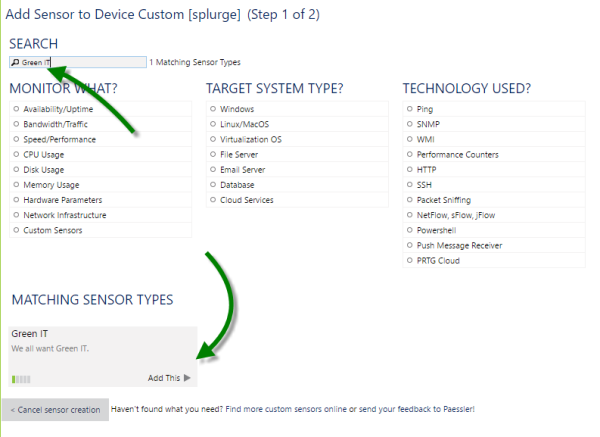 Following this guide will allow you to quickly change the status of one sensor, based on a speed trigger or limit assigned to a particular sensor based on #/s results and to get a persistent overview of previews events. totally lost in this manual. green IT sensor created for the new device, or can be on existing device? New notification means in setup under account settings? Where is objectid in 'just replace the objectid by the ID value shown on the Overview tab of your Green IT sensor.'? I can see ID in green IT sensor, but where to assign it??? Notification does not contain field named 'objectid'. Does this help you creating this workaround?